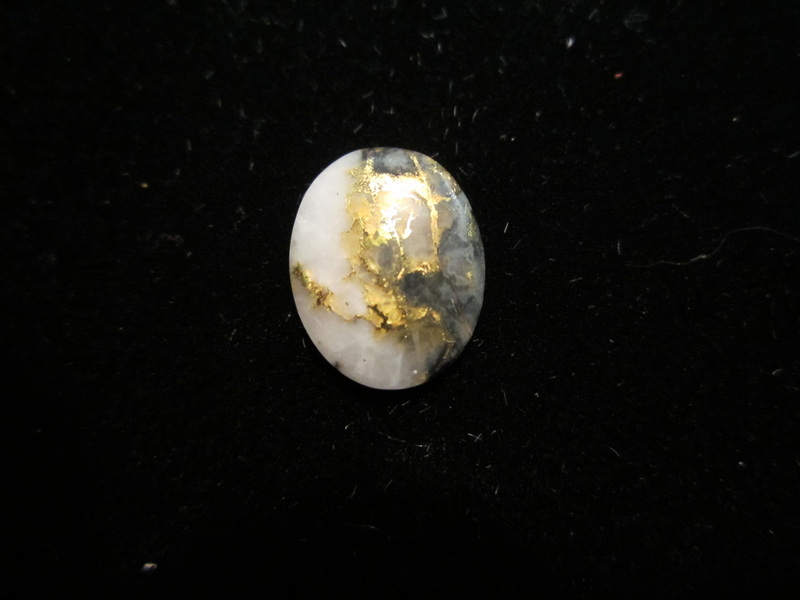 Found around Sheep Ranch, in the Sierra Nevada Foothills, CA. 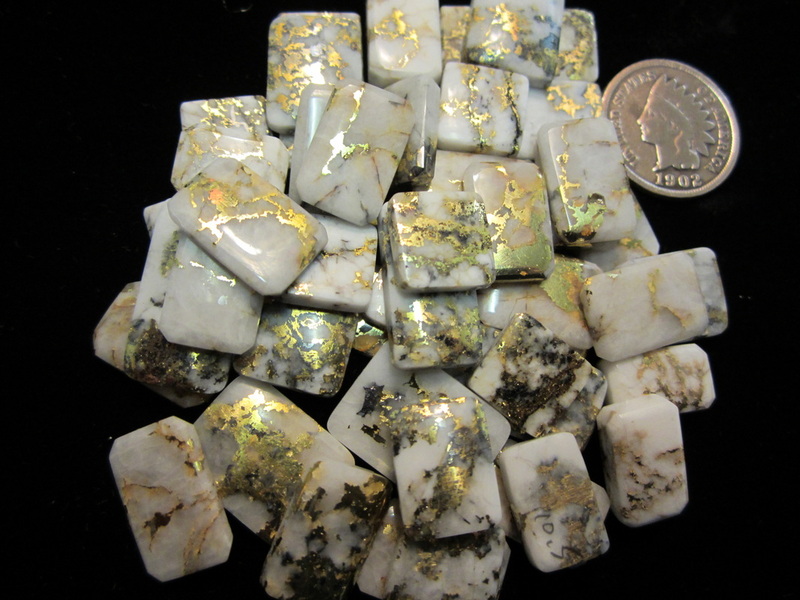 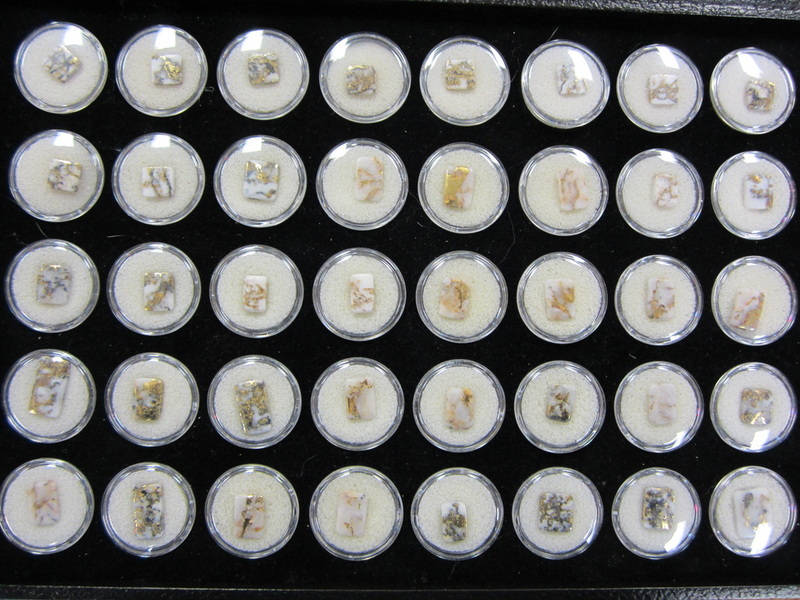 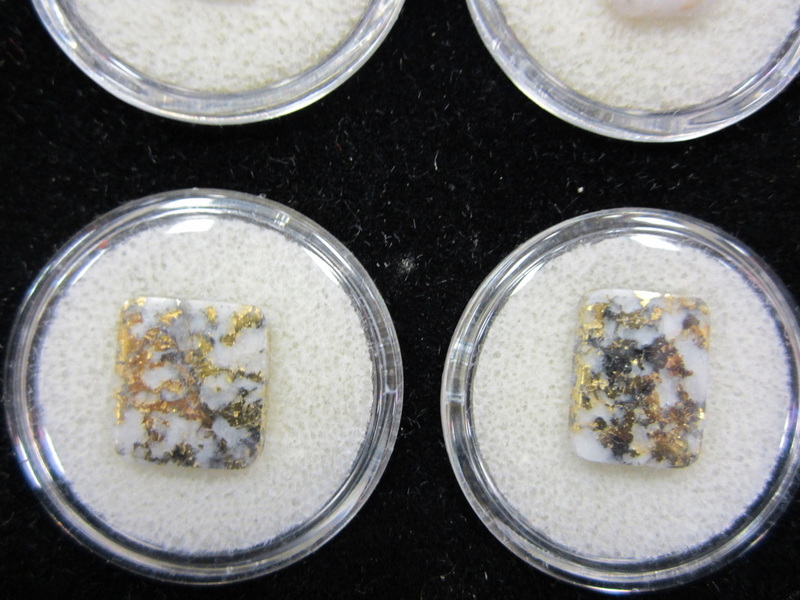 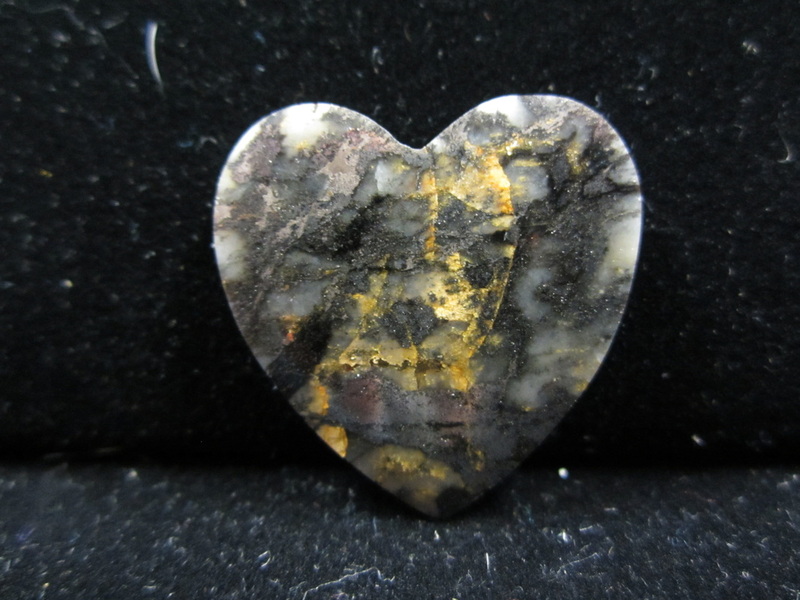 Very rare material; Gold-Bearing Quartz, Silver & Platinum combination. 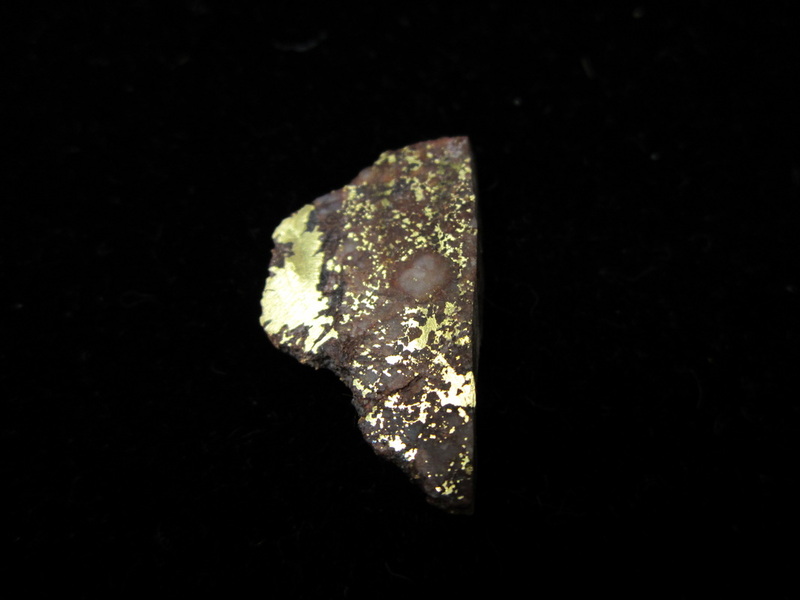 Quartz and Gold Crystalline Specimen, found near Mariposa, California. 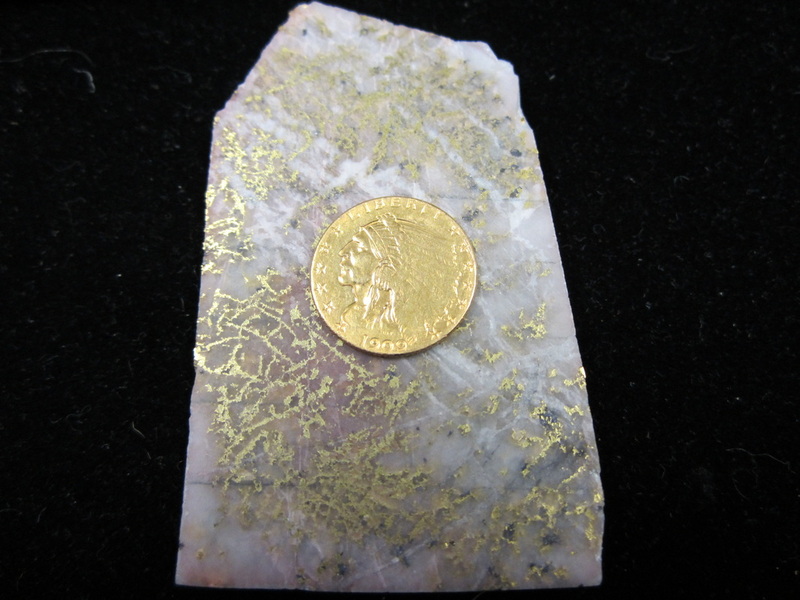 2 ounce slab ready for cabbing, from the 16 to 1 Mine, CA, the last remaining working Gold Mine in California from the 1800's. 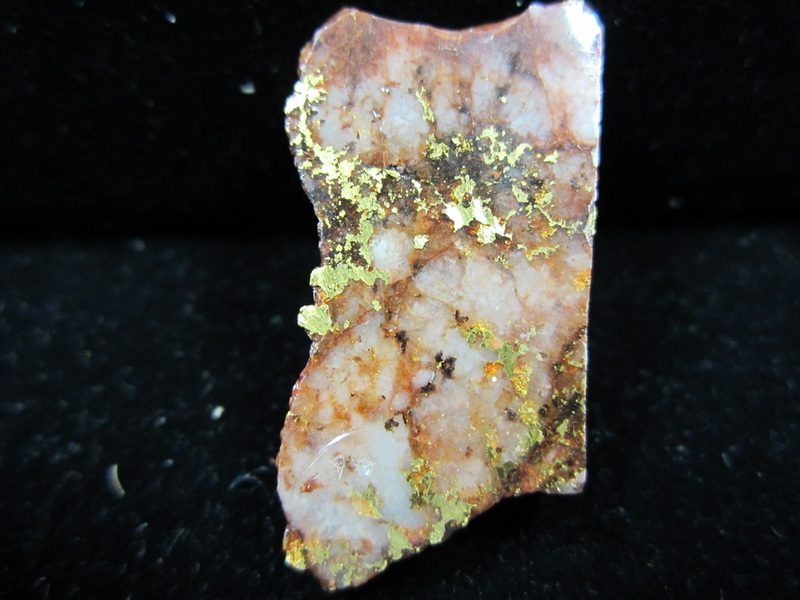 Another example of the Rare Rose Colored Gold-Bearing Quartz found around Nevada City, California. 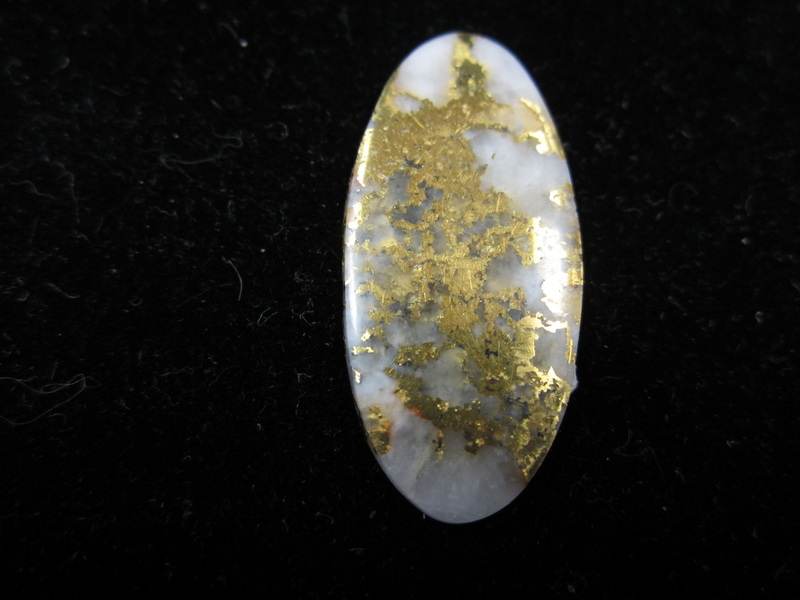 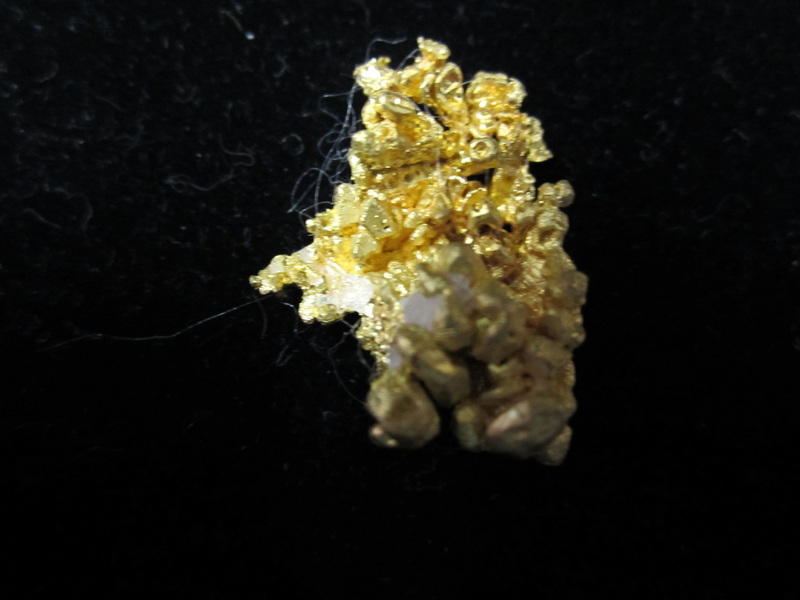 Beautiful Oval Cut with swirling Gold throughout the Quartz.